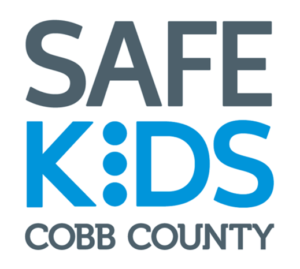 Each year Safe Kids Cobb County chooses one person or organization as their volunteer of the year. 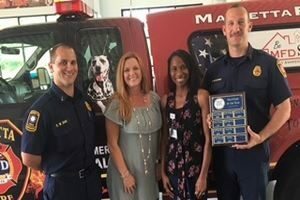 The Marietta Fire Department was honored to receive this award for 2016. 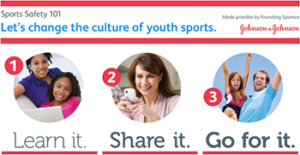 Through our Be MFD Safe program, the Marietta Fire Department partnered with Safe Kids in 2016. 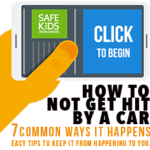 We perform Home Safety Visits for the citizens of Marietta, and we initially began administering Safe Kids Cobb County’s child safety kits to households we visited that have small children in the home and need the protection. 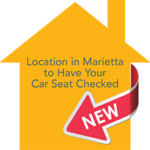 Later in 2016, Marietta Fire developed our connection further with Safe Kids by having several personnel trained as car seat safety technicians. 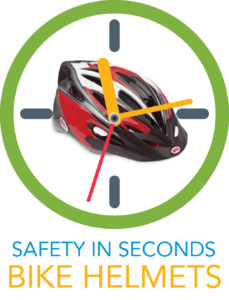 Once trained, we started a Car Seat Safety Check station at our headquarters location, 112 Haynes Street, with car seat safety checks available on Mondays. We hope that the relationship built in 2016 with Safe Kids Cobb County is only the beginning.